Prior to putting fingers on the keyboard, I had one huge fear about this Blog posting: that this would be that moment in time where I feel old and out of the loop. 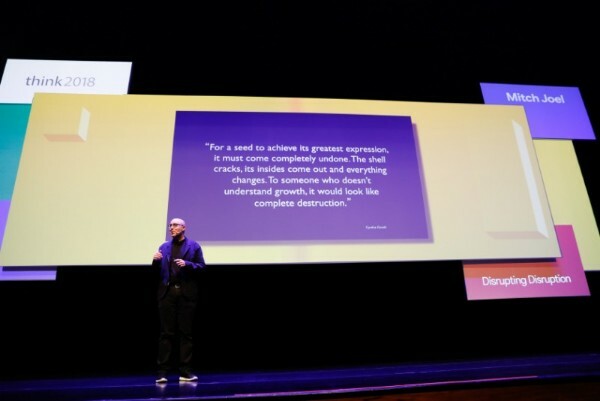 While I was attending PodCamp Singapore, one of the speakers, Jorg Dietzel, talked briefly about a new segment rolling out of Asia based on Boliao. I had never heard that word before. My nascent understanding is that there are tons of people spending tons of time watching and creating content that is now called Boliao. Just random, with no substance, but it grabs tons of traffic and is highly viral. And, with everything the youth latches on to, they’ve taken a negative term and turned it into a positive. Again, my understanding is that Boliao is now a good thing. Jorg posed a serious Marketing question at PodCamp Singapore: “how do we, as Marketers, connect with a group of people who are, literally, watching (and creating) nonsense?” How do we, as Agency people, pitch this to clients, and how can we explain (with sincerity) that Boliao is the kind of content people want? It’s not supposed to have meaning or anything like it. I’m also even more intrigued by Boliao because I’m simply not finding enough content tagged this way. This leads me to believe that I’m either: a) not spelling it right, b) I’m really ahead of the curve on this next generation in viral video, or c) the people into it care so little about anything that they would never bother to tag it or categorize it as I am doing. The question becomes: what are Marketers supposed to do? If Boliao is something that millions of people are engaged with, and it has no substance_ where will this lead us? We’re already struggling to explain to clients that you can’t buy or create something viral – it has to have elements of raw emotion that piques people to spread it. Now, we’re faced with the next generation, and it’s actually based on creating content that has no substance, value or true meaning beyond just enabling the consumer to waste their time. I guess my big itch with this Blog posting is that I can’t even find enough sources talking about Boliao to know if this is actually something to look out for_ or ignore. My gut feeling is there is no substance to this. So, while it may be possible to produce something like this with good results, I’m not going to lose sleep over it. The world (and my work) will keep on kicking without intentionally creating nonsense. With that said, I’ve been wrong before. Maybe there’s something deeply meaningful in producing nonsense. I think there is a fundamental shift in our presentation of public and private selves that is fueling “Boliao” (a term I had never heard of either. When we were teenagers, we would have done the same thing – practiced lipsyncing a song with our best friend. Maybe just because we wanted to do something goofy while we were hanging out, or maybe as a prep for a school talent show. But now .. that performance has a global audience. We only have to be bold enough to publish to that audience. So with our courage and our handy-dandy new digital publishing tools, we have found a new pastime – creating Boliao and *consuming* Boliao – something we might not have been able to do before. To me, Boliao is an extension of the weird combo of voyeurism and self-deprecation that we see on reality shows, or well, even before that on shows like “America’s Funniest Home Video”. So, are marketers smart to tap into that? Of course! Programs like Subservient Chicken are already a step in that direction. I look to my brands to entertain me – there is so much product choice, I want to go with one that fits other aspects of my lifestyle. But .. to me, it speaks to a larger societal impulse that we’ll need to pay attention to. Even if it’s nonsense – if we like it, it’s good. This video made me laugh. Was it crap – NO. It made me laugh and therefore fulfilled its intent. Had I not laughed, then it would have been crap. Sure there is LOADS of Boliao out there but I would suggest that it is only Boliao if it does not fulfill its intent. Great post Mitch, and you are unlikely to put out Boliao even as an example…because you’re always schoolin’. The major teacher in America is the TV set. Inspired by PT Barnum, the TV stations have been dumbing down their programs for the past two generations. The internet seems to be just speeding up the process. However, seek and you will find. There are a lot of clever interesting people in among the fools. see i really do ready this blog!! Excellent post Mitch. These Boliao videos are having a colossal impact and it is so hard to manufacture a genuine viral hit that marketers have their work cut out. This is probably why they’re so appealing to the public. They’re amusing and seemingly un-manufactured.